You have likely suffered from fatigue at some stage in your life. Feeling tired can be a result of many reasons. For example, things like an unhealthy diet, drugs, alcohol, depression, obesity, anxiety are all to blame. Without being aware of the cause, you likely began to self-medicate with sugar, caffeine, nicotine or other stimulants. But these only deplete and destabilize your body more. Rather, the health strategy you need is to boost adrenal function. 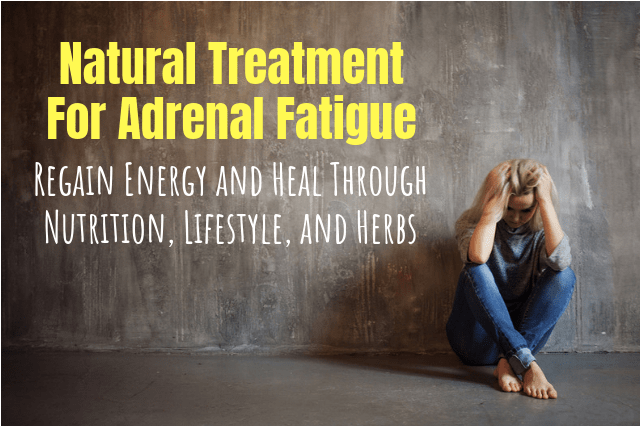 So here, you'll learn natural treatment for adrenal fatigue including nutrition, lifestyle, and herbs because it might just be what's plaguing you. Besides your pituitary gland, the adrenal glands are possibly the most important glands in the body. They are two small organs, not larger than your thumb situated just above your kidneys. The adrenal glands govern the health of your body through the production of hormones, steroids, and neurotransmitters. Think of these glands as the batteries of your body because they produce energy that powers digestion, lymphatic movements, breathing, and the function of all your glands and organs. They are part of your endocrine system. Your hormones affect your whole body both directly and indirectly. They respond to your body in a very sensitive way as they delicately balance your body. And it’s why adrenal fatigue and hormonal imbalances go hand in hand, impacting your life a great deal. Adrenal fatigue is often triggered by a stressful event in your life. A lot of people will describe what is happening to them as feeling wired, but at the same time, tired. You can still feel alert, and yet you are so fatigued, you are irritable and stressed all at the same time. When people go through traumatic life experiences, they develop “adrenal crisis”. This makes all the above symptoms even worse where they end up at a doctor, looking for medical treatment. 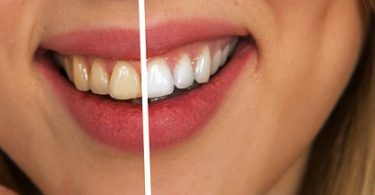 What will a doctor do in this case? If you see a doctor because you are undergoing an adrenal crisis, he or she will usually want to give you steroid injections. Also, you will need fluid intake such as electrolytes to restore the pituitary gland and adrenal gland function. If you leave it untreated, other serious symptoms can develop. Because stress is a huge factor in cortisol damage, you need to search for ways to reduce it. One of the most powerful ways I know how to reduce stress is the practice of Yoga Nidra, where your body experiences profound relaxation and restoration through conscious ‘sleep'. You also need to replenish and strengthen your body by eliminating toxins and eating healthy foods. Also, make positive thinking a top priority if you want to get better. Now that we have the stress issues out of the way, diet is the next important step. You will discover that there are quite a lot of foods that will offer your adrenal glands support. These foods will help to replenish your adrenal energy to enable you to get back to full health again. But before offering you the right type of foods to take, first you need to avoid the bad foods, you need to avoid ingesting toxins and chemicals. What Are the Kinds of Food That You Must Avoid? Caffeine is hard on your adrenal glands. In general, it will give your adrenals a hard time towards recovery. 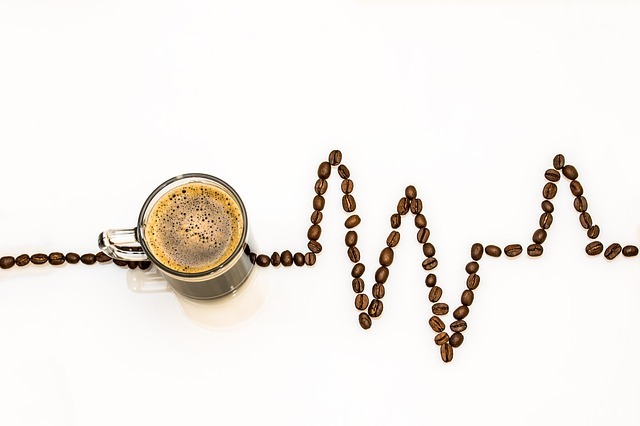 If you have to have coffee or any beverage with caffeine in it, limit your intake to occasionally unless you are genetically sensitive to caffeine. Sweeteners and sugars: Avoid artificial sweeteners and any high-fructose corn syrups. Avoid cereals covered in sugar and sweets. Bear in mind that there is sugar even in many condiments, bread, and dressings. Rather use raw honey. No, not all carbohydrates are bad for you. Yet, they cause inflammation which can be a real problem when you experience adrenal fatigue. When people are under stress, they usually crave heavy carbohydrates – comfort foods. These can offer some satisfaction, but they will be very taxing to your adrenal glands. When you feel stressed and overwhelmed, try and kick out the starchy carbohydrates and gluten. See if it does improve your energy and tiredness levels. The microwave is another danger to your health all on its own, but that is a topic for another day. But most of the highly processed foods which can be microwaved usually contain heaps of fillers and preservatives in them. These foods wear out your digestion cycle and your energy levels. Prepare your own food wherever you can, using whole foods. Proteins stress to your hormones more than you realize. Added hormones in processed meats can throw out your system badly. Try to eliminate red meat entirely. If you cannot, chose meat from grass-fed cows and not grain fed cows. Buy free-range chicken and turkey. If you must eat meat, take it in moderation, never more than 3 ounces a day. Vegetable oils like soybean oils, canola oil, and corn oils are oils that cause inflammation. Eat or cook with the good oils like olive oil, coconut oil, and ghee. The above foods are there to help you overcome adrenal fatigue. These are all nutrient-dense foods that consist of little sugar and plenty of fibers and fats. It can be frustrating to have ongoing, persistent symptoms that when you ask your doctor, he can’t really explain them to you, or put his finger on it. But getting a diagnosis from an unqualified doctor is worse. He could offer you unproven medications and remedies that might make you end up feeling even sicker than ever. If you find it is difficult to get up in the morning and you lag in the afternoon and your doctor can’t pinpoint that you have adrenal fatigue, try treating yourself with this natural treatment for adrenal fatigue. If you do not have adrenal fatigue, these suggestions for eating and de-stressing will, in any case, be beneficial to your health. This is true no matter what you are suffering from. You can experience physical stress when your body doesn’t get nutrition. Whole foods are essential to a healthy diet. It's impossible to be healthy when you eat processed foods because they are difficult to digest which puts a great deal of stress on your body. The best foods for your adrenal glands are organic, whole foods. Refined grains and processed sugar attacks the adrenals. Processed foods and fast foods are high in sodium which taxes the adrenals. But, sea salt is actually useful because it has raw minerals like potassium, magnesium and other electrolytes. Always choose whole foods whenever you can and ditch the processed foods. Maximize fruits and vegetables because they are so rich in nutrients and bring health to the body. Studies show that B vitamins help reduce stress and provide energy. Make an effort to get your B vitamins from whole foods first. Caffeine makes your adrenal glands pump out cortisol and adrenaline. If you love coffee, look for a roasted substitute like Teeccino Chicory Herbal Coffee. Or take green and herbal teas because they have many healing properties. Lemon water and ginger are also very healing to the body. One of the most important health benefits for any disease is good sleep. Lack of it for prolonged periods of time makes you defenseless against adrenal fatigue. Learn how to get a good night of sleep here. Partially-hydrogenated oils have trans-fats in them and these fats are very dangerous to your health. Eliminate oils like soybean, corn, and canola oil and replace it with the good ones like olive oil, ghee or olive oil. Adrenal fatigue is when your glands are dysfunctioning and you get tired from too much workload. When the adrenal hormone levels are low, you experience low blood sugar levels, and when you sleep, they sink lower. You need to elevate the cortisol levels in your body. Your tendency may be to reach for caffeine when you need a boost, but this will only make the situation much worse. Instead, you need to rebuild your body's energy reserves. These five herbs combined are an effective, safe way to rebuild your adrenal glands. Ashwagandha offers rejuvenating benefits. It will boost your energy without depleting you. Also, it gives energy while at the same time if offers a calming effect. Your energy is not just physical but can be mental as well. When you balance your nervous system, you will have more power to get through the day. An herb that supports the adrenals, Rhodiola encourages a healthy response to stress. It has been used in Europe and Asia for thousands of years to boost energy, endurance, and mental clarity. Used to increase mental alertness and performance, Eleuthero strengthens concentration and reduces fatigue and stress. Used in Traditional Chinese Medicine, Eleuthero invigorates and balances chi or energy. Shilajit works by enhancing the production of ATP, (adenosine triphosphate) the body's primary energy source. Traditional medicine systems, like Chinese Medicine and Ayurveda have used ginger for thousands of years. In fact, Ayurvedic texts call ginger a “great universal medicine”. It is a well-known herb to support digestion. If you cannot digest the food you eat, you cannot extract the nutrients and energy. 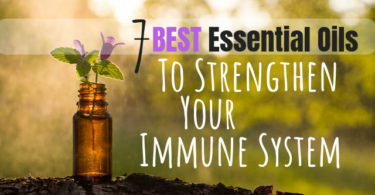 You can find these five herbs in Dr. John Douillard's 5-Herbal Energy formulation. It's a proprietary adaptogenic herbal formula designed to support your nervous system and help replenish your depleted energy reserves. If your energy reserves are depleted and deficient, your body will be forced to produce more and more adrenaline and stress-fighting hormones. 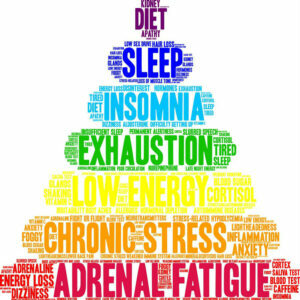 It is not fun to have adrenal fatigue and to think that stress is mostly responsible for it. But believe it; your lifestyle and your eating habits can greatly influence the healing of your adrenal fatigue. Unlike caffeine and energy drinks that stimulate the body to make energy it doesn't have, 5-Herbal Energy pays back the body's energy debt. 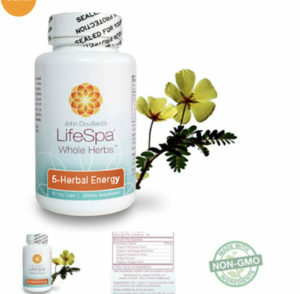 It supports the nervous system and helps to replenish depleted energy reserves. Woww, thanks for such a detailed post. I will definitely get my wife to read your post. This is truly a valuable knowledge. Both I and my wife drink a lot of coffee. Well, I am working asa software engineer so it’s kinda a must 😛 My wife just enjoys her morning coffee before going to work. I think we both need to reduce our caffeine intake. Do you recommend us to stop drinking entirely (which is extremely hard) or we should buy less condensed coffee? Yes, coffee is very acidic and it stresses the adrenals and can cause many health issues. Coffee also dehydrates the body which leads to sluggishness, aches and pains. If you want to cut back or wean find an alternative. There are many replacements like Roastaroma by Celestial Seasonings or Dandy Blend Instant Herbal Beverage. There are many more and you just need to find one that you like. If you are a heavy consumer, start by cutting your consumption in half. (the body doesn’t like sudden changes). I always judge what I need to do to my body based on symptoms. If I don’t have any health symptoms in my body, i’m more lenient with my diet and lifestyle. The minute I notice a symptom, I clean up both until the symptom has left. Symptoms are just the body’s way of telling you that you need to pay attention to your diet and lifestyle. Thank you for this wonderful article. I read a lot about this condition and that is how I bumped into your article. I think i might actually have it. I will start and consume more whole fruits, more olives and prepare food on olive oil. This food is healthy even without any condition and it is good to know that you recommend it in the first place. My biggest worry is the lack of sleep. Recently, i had trouble getting normal healthy sleep and started waking up tired and exasuted. Do you think this has something to do with my condition and how it can be fixed. Yes, the foods we eat are a critical part of healing your adrenals and your diet makes the difference. thanks for sharing and connecting! Wow, I knew that having a healthy diet would help boost your fatigue but the amount of knowledge you have here about the Adrenal Glands, what makes them work and what doesn’t, is unreal, not just the adrenal glands though, you have a huge knowledge about the whole digestive system and the whole body by the looks of it. I could have done with finding this post last year when within a week, my car engine blew up, I lost my job of 20 years, and then my grandma died, all in the same week! I soon started drinking heavily after that bad week, and within 2 months, I didn’t know what was wrong with me. I wouldn’t leave my bedroom, I wouldn’t answer the phone or even open letters, I just thought I was a bit sad. My wife eventually got a doctor out to see me and I was diagnosed with anxiety and clinical depression. The doctor put me to speak with someone and the first thing they mentioned was my diet, I, of course, wasn’t eating properly so they helped me find a diet that would potentially change the way I think. I didn’t believe them though but I stuck to it, and let me tell you now that eating the right food can really change your frame of mind. I’m doing ok now but I will never change my healthy eating in case I spiral again. What we eat matters for every aspect of our health, especially mental health. A diet of processed foods, meat, refined grains, sweets, dairy products is associated with an increased risk of depression. 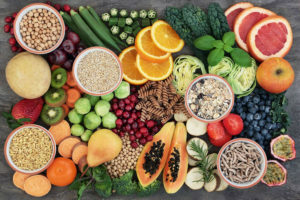 A high intake of fruit, berries, melons, vegetables, good quality fats like olive, avocado plus seeds and nuts is associated with happiness and well-being. The gist of it is… Eat plants, and lots of them! Avoid foods made with sugars, flours (breads, baked goods, cereals, and pastas. Minimize animal fats, processed meats and butter. When it comes to what we eat, quality really, really matters!